The Sorel Whitney short lace boots are designed for warmth, comfort and durability, making them the perfect option for extreme weather conditions. 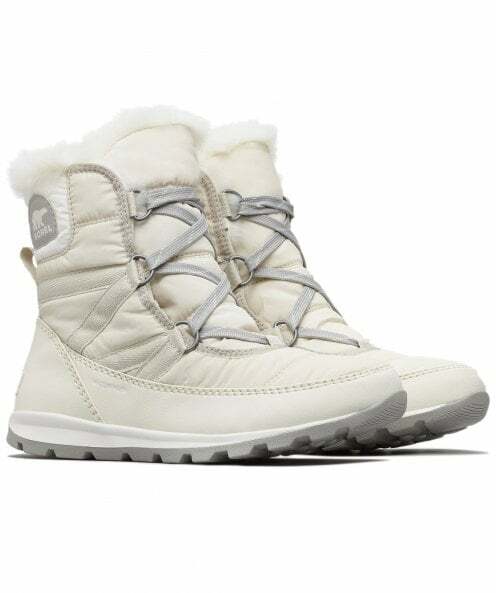 Expertly crafted from a waterproof nylon upper, the boots feature a lace-up fastening, plush faux fur collar and a soft fleece lining to keep your feet cosy when walking through the snow. Complete with a removable molded EVA footbed and branding detailing for an authentic finish.